A recent scrapbooking event here in Denmark kept me busy the last week and just being around a lot of creative women during the weekend made me wanna make cards!! Tonight, I was finally able to do that! Yay! 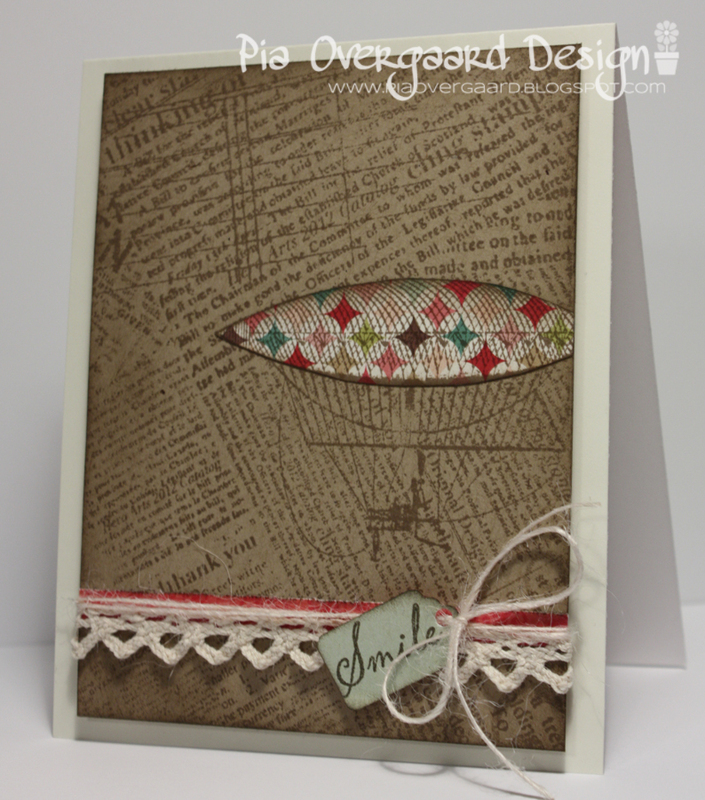 Stamps: Hero Arts Fly Away Newsprint, Hero Arts Mix n'Match. Papers: Hero Arts Layering Eggshell, Bazzill kraft, Echo Park This & That Graceful. Other: MS punch, twine, Distress ink Walnut Stain, Hero Arts Cup O Joe. How charming! So glad you had some time to get creative...can't wait to see the other cards in this series!